Fascinating! It's funny how the lives of the people featured are nothing. like I would have imagined. This is really good! I can't wait for the next episode! You travel the world to find your place. You dare to do many things. But the biggest thing you’ll need to dare is to share your secret with the world. You dream of world where everyone’s equal. You’re willing to fight for what you believe. But fists and guns won’t do the job. Your weapon is your talent. Stitch Fix - Go to stitchfix.com/IMAGINEDLIFE to get 25% off! You hate flying, yet you fly by the seat of your pants. You’re smart, but answers don’t come easy. You need a do-over, a do-something, a do-anything, but the path forward is through fire. Warby Parker - Go to Warby.com/IMAGINED to find your perfect pair of glasses! 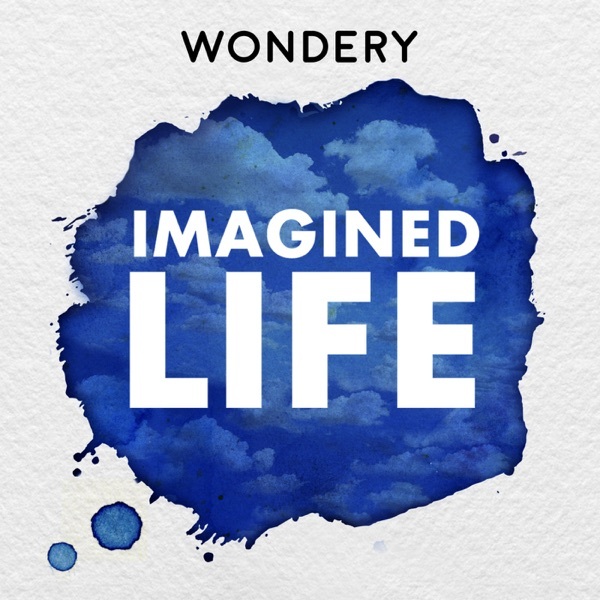 A brand new episode of Imagined Life will be out on Sunday. In the meantime, here are some great shows to fill your podcast feed! The clock is ticking and you have a lot to do. You want to make a difference in the world. You have a vision, but not everyone sees what you do. You’ll need to do something bold to convince them. Tick tock. You’ve officially hit rock bottom. Your mistakes were too big and too public, and now you can barely get a job. You know you need to keep moving forward. Trouble is, your past keeps holding you back. At every turn, your life is a battle between good and bad. You look for redemption at the movies. But nothing stirs your imagination more than the scenes that play out beneath your apartment window every night. You’ve studied hard your whole life and attacked every challenge thrown in your path to prove what you can do. But can you overcome your own insecurities to do what’s in your heart? Hosted by Virginia Madsen. You grew up alone and afraid. To protect yourself, you put up walls. You’re safe behind them… but here’s the thing about walls, they keep out the good stuff too. And you want to feel good. Article - Go to Article.com/IMAGINED to get $50 off your first purchase of $100 or more. Warby Parker - Go to warbyparker.com/imagined to order your free Home Try-Ons today! You’ve always dreamed of serving your country. Now you have a chance. But if you make the wrong decision it all ends here. You’ve experienced loss and pain, but now you’ve reached a pinnacle in your career. You should be happy but you’re not. You decide to risk it all to be truthful to yourself. Hosted by Robbie Daymond. For 25% off your first month of personalized Care/Of vitamins, visit takecareof.com and enter promo code IMAGINED. You have a decision to make. On one side, everything you’ve ever worked for; on the other, everything you believe in. You can’t have both. Hosted by Robbie Daymond.